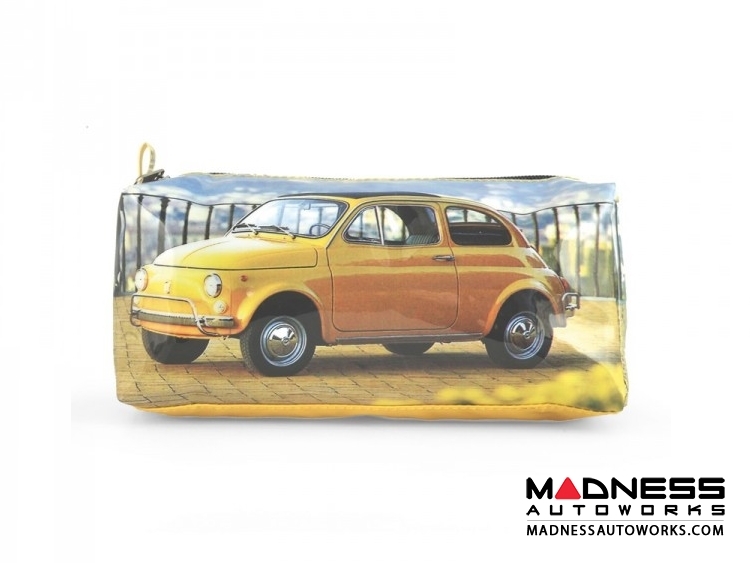 Carry your things in style with these decorative Classic Fiat 500 Pen Cases! 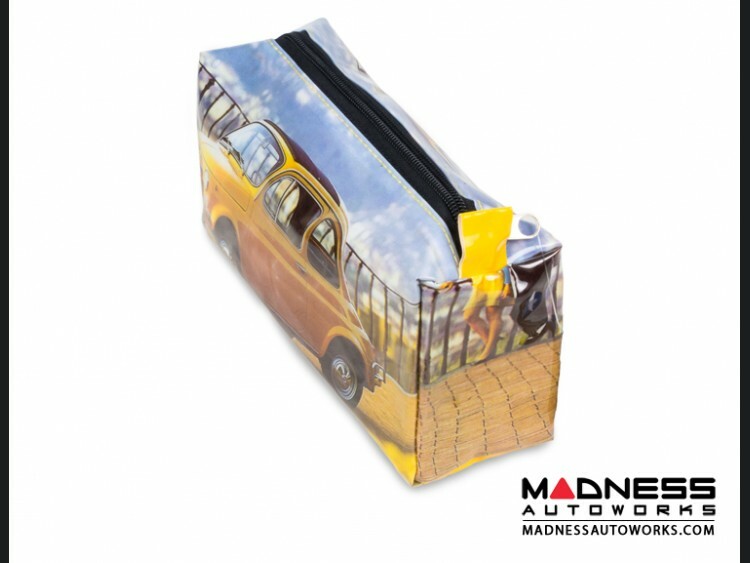 This listing is for a PVC Pen Case decorated with historic Fiat 500 images. 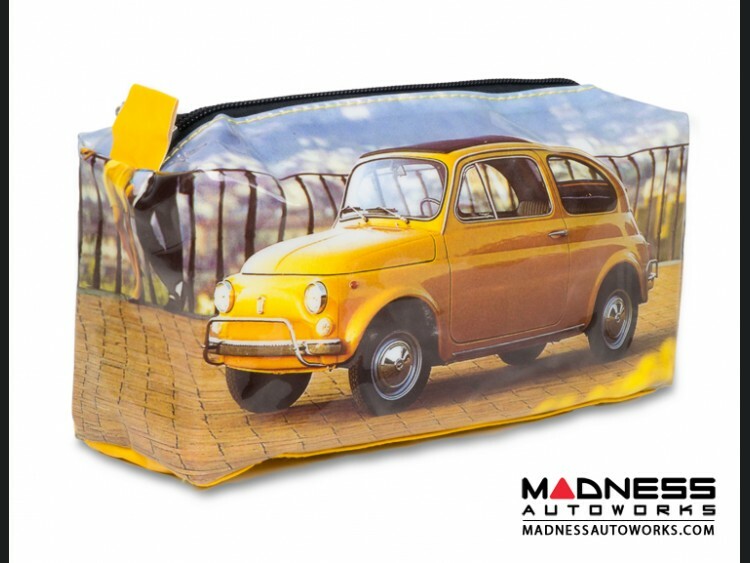 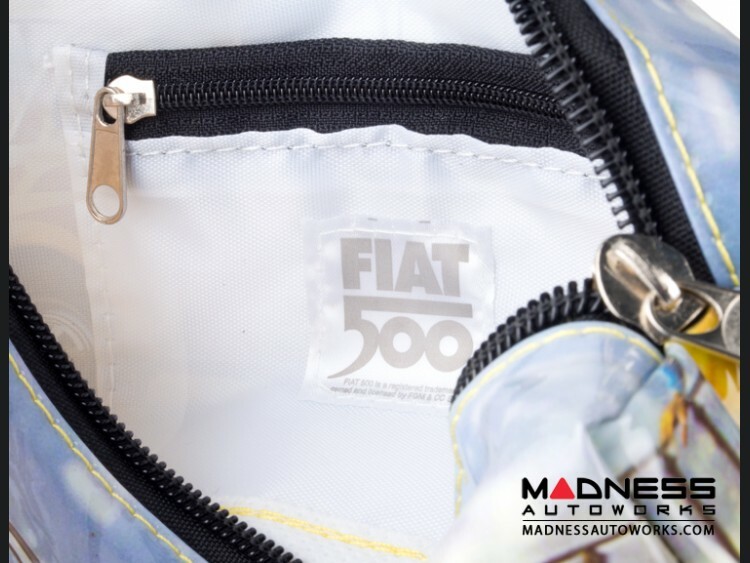 The case features an iconic yellow Classic Fiat 500.